The man’s boss congratulated him on the new arrival but then proceeded to tell him that he was being made redundant. The man was sacked from his managerial role in a Garden Centre. A NEW DAD was sacked by his employer just 11 days after the birth of his new-born baby and while on paternity leave. At a meeting on 12 January 2017, the horticulturalist was first congratulated by his boss on the new arrival but then he proceeded to tell him that he was being made redundant. The shocked employee asked whether there were any other roles open to him, and he was told there were not. 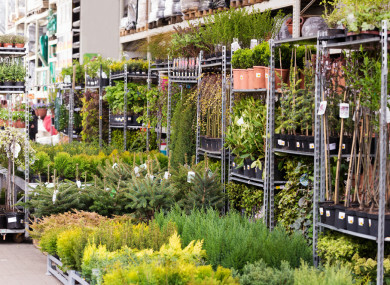 The boss then told the man – who was employed as a Plant Area Manager and Buyer for the Garden Centre- to clear his desk and leave immediately. The man sued for unfair dismissal and the Workplace Relations Commission (WRC) has upheld his claim and ordered his former employer to pay €2,461. WRC Adjudication Officer, Pat Brady has described the employer’s conduct in the case as “seriously unacceptable”. The compensation amount would have been much more as the worker’s losses were minimal due to him securing alternative employment on 3 March 2017. This was as a result of ‘extremely diligent job seeking’ where the man now enjoys a higher wage than he did with the garden centre. The man pointed out to the WRC hearing that any dismissal while on paternity leave is automatically unfair on foot of section 20 of the Paternity Leave and Benefit Act, 2016. The employer told the WRC that he was not aware that the employee being on paternity leave was an issue and the decision to make the man redundant was due to a re-organisation of the business. The re-organisation involved making the man redundant and creating a new position of ‘Assistant Manager’. The employer stated that a decision was taken in October 2016 to make the horticulturalist redundant and Brady said that it is incredible that decision was taken but no conversation took place with him about it, or the fact that he may have been at risk of it. Brady stated that the credibility of the employer is further put in doubt by the fact that the beneficiary of the complainant’s dismissal was the employer’s son. Brady also stated that it was clear that the employee “was motivated by what he considered to be the injustice of the respondent’s behaviour towards him and a finding that he was unfairly dismissed may be of value to him and in respect of his curriculum vitae and future career”. Email “Compensation for dad who was sacked just 11 days after birth of new baby”. Feedback on “Compensation for dad who was sacked just 11 days after birth of new baby”.